Pandora Suites Hotel is a traditional building of the 17th century, which offers a comfortable and pleasant accommodation in the Old Town of Chania. It was renovated in 1997 in order to offer all modern comforts to its guests, maintaining its stylish decoration and prestige. 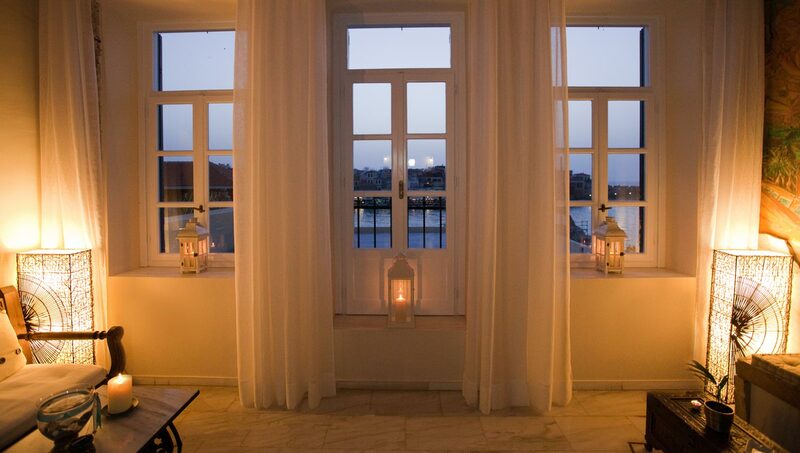 The hotel offers magnificent view of the old Venetian port and the lighthouse. Hotel Pandora Suites comprises of spacious, comfortable and fully equipped rooms. It has 3 Suites which can easily accommodate up to 4 persons and 8 Double rooms. Most of them have their own balcony, some with view to the old port, while others are viewing at the neighboring streets. At the hotel’s top floor is the roof garden where guests can enjoy their breakfast or a drink with the best view in Chania Town.